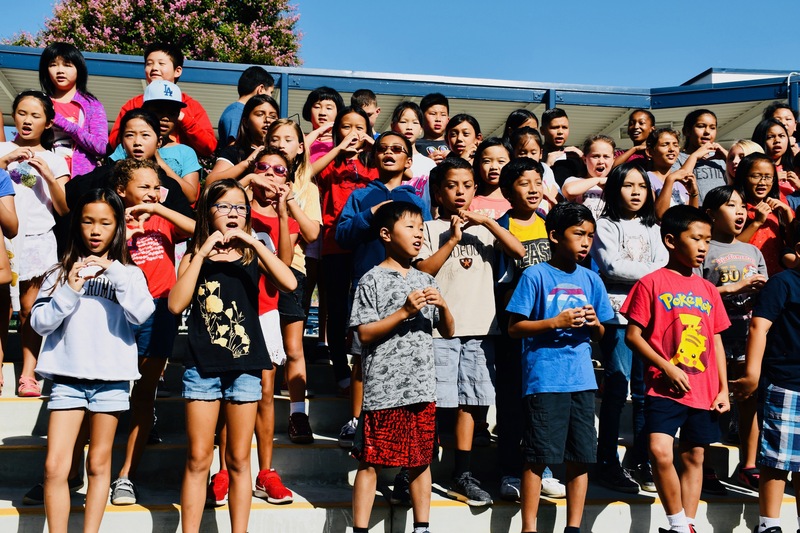 DIAMOND BAR, CA—Chaparral Middle School students were given a design challenge that took some imagination during the second week of school. Seventh graders in the Design-Based Learning (DBL) core were tasked with building a wall perch for a two-inch pompom named Harry. The innovative designs needed to have good visibility (so the tiny ball of fluff could see every face in the class), be safe so he wouldn’t fall off, and feature creative architecture. After learning about the engineering process, scientific method, and DBL process, students compared and contrasted the systems using Venn diagram circles. “They realized there are a lot of similarities,” said science teacher Jennifer Najera. The Next Generation Science Standards (NGSS) integrates the engineering design process as an important element in science. “I think the engineering process helps people think creatively about problems and is a great way to tackle just about any project!” she said. With just two class periods to complete the assignment, the small groups quickly got busy planning, building, testing, and improving their designs. Teams needed to make creations come alive using limited resources of cardstock, construction paper, tape, glue, plastic cup, rubber band, plastic spoon, and paper clip.